Daniel Metcalfe received a Bachelors in Industrial Design and a Masters in Product Service System Design at the Politecnico di Milano. His thesis Project proposed the application of Peer To Peer file sharing models to plant conservation in a distributed model of a seed bank. 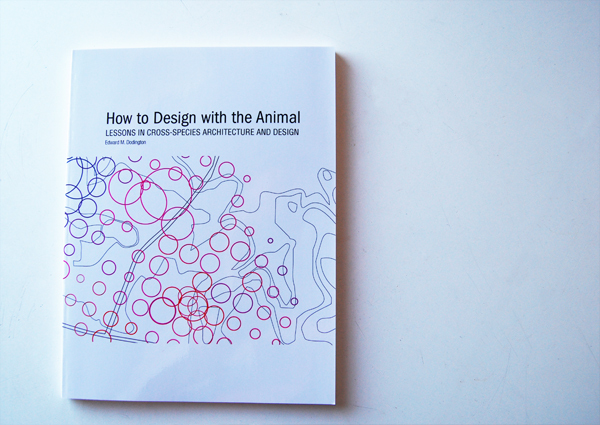 After his studies he worked as an assistant professor and guest lecturer at different institutions in Italy and organized some cross-disciplinary collaborations between designers and ecologists. He is currently Living in the Uk, pursuing a Phd at University College Falmouth where he is studying the role of design in biodiversity conservation and working with ecologists from Plymouth university and geomorphologists from Exeter university. Intertidal zones are fascinating landscapes, they go from being completely submerged in seawater to exposed in just a few hours. Species that evolved to living here developed ways of dealing with extreme conditions: the crushing energy of the waves, the scorching sun and varying water salinity. Human settlements are not usually built on intertidal zones but often adjacent, they stretch out artificial limbs on to them for various reasons. The volume of coastal engineering is expected to increase in coming years as rising sea levels create a need for new coastal defences. 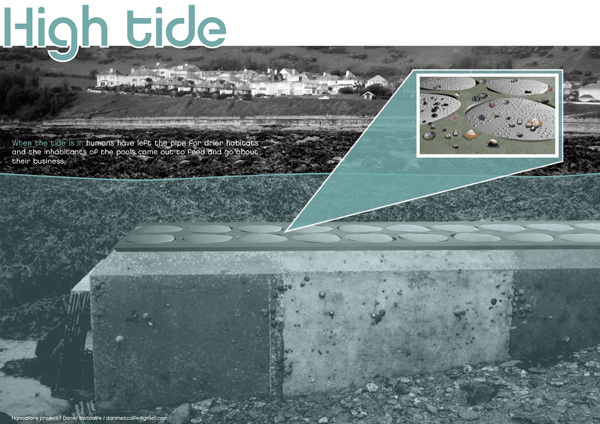 This is a good opportunity to reflect on the way these artificial structures interact with the surrounding ecology, how they affect and are affected by the local intertidal residents, to challenge the incumbent practice of building structures that try to resist bio-colonization in every possible way. 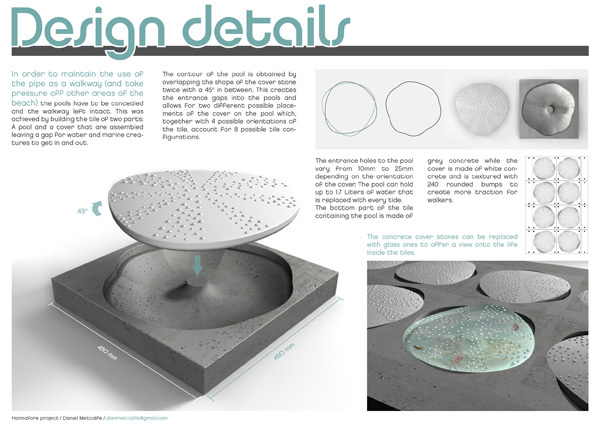 The objective of my research project is quite simple: to translate ecological knowledge regarding the conditions that encourage bio-colonization into surfaces for coastal structures. 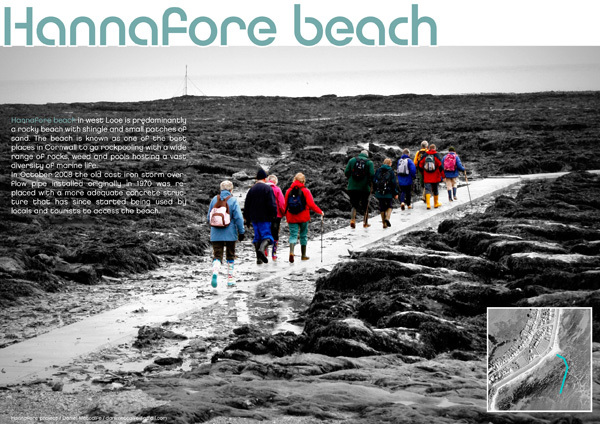 Hannafore beach was the perfect site to start testing some ideas. The beach is known as one of the best places to go rockpooling in Cornwall, it gets very low spring tides and enjoys a wide diversity of life (on my first visit I found 5 different crab species!). In 2009 a concrete pipe was built to direct overflow water in case of a storm from the nearby town. The pipe has a rectangular exterior with a flat concrete top and walls. It lacks the grooves and pools that trap water at low tide and offer protection from the waves and as such has hardly been recolonized since it was built. Only a few brave limpets and topshells have managed to cling to its wall where the concrete is a bit rougher, along with some green algae that has started to build up on the top surface. I decided to cover a section of the pipe with a layer of tiles that would incorporate habitats for all the creatures I found whilst rookpooling, long deep grooves for mussels, small pools for anemones, worms, and crabs, shoulders for barnacles to lean against and rough surfaces for molluscs… I would demonstrate that a different building practice is possible in the foreshore. In researching for the project I came across an environmental assessment report done for the pipe by the Cornwall Wildlife Trust one year after it was built and met with Abby Crosby who wrote the report. Abby mentioned something that placed my plans in question; It seems that since the locals have started using the pipe as a walkway, to access the lower beach, walk to Looe Island at low tide and drag their kayaks to the water, a significant amount of pressure has been taken off the surrounding ecosystem. Apparently the best thing I can do for the ecosystem at Hannafore as a designer is to leave the pipe as a walkway and see if I can improve its features as such. Design projects tend to go full circle, ending in similar places they began and picking up interesting synergies along the way. Whilst looking for ways to make the pipe a safer walkway I needed to find a way to get rid of the green algae that was building up and causing a slip hazard. There is an old saying that When you’re holding a hammer every problem looks like a nail, I happened to be holding a painted topshell in mine, and topshells, among other molluscs, graze on microalgae. Back at the drawing board I set out to redesigned the tiles with habitats that would encourage grazing species and would not interfere with the use of the pipe as a walkway. 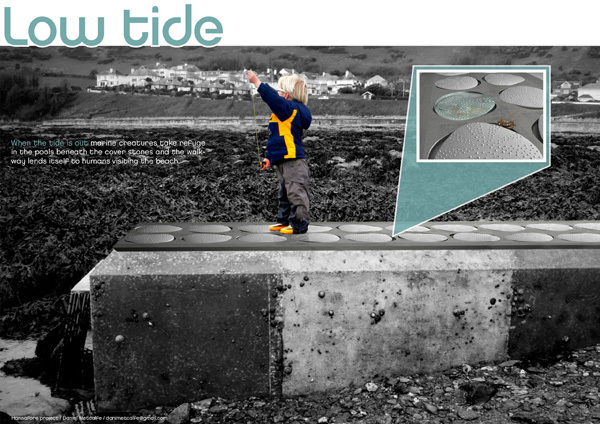 The result was a tile that features small pools for trapping water at low tide which are covered leaving small gaps for water and marine species to get in and out. 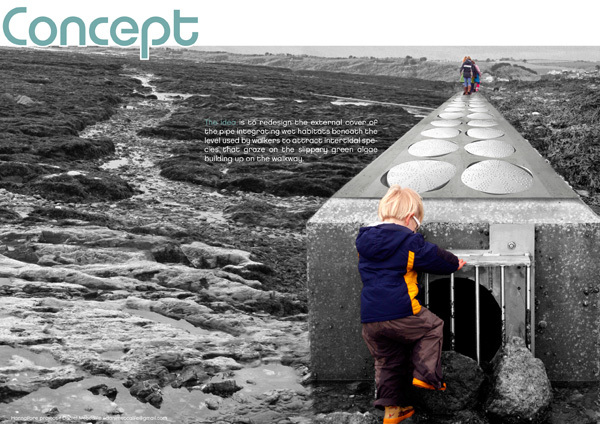 The cover aligns with the level of the walkway and is textured to create additional traction. It is now time to test the design on site at Hannafore to see how it complies with the locals (human and non).